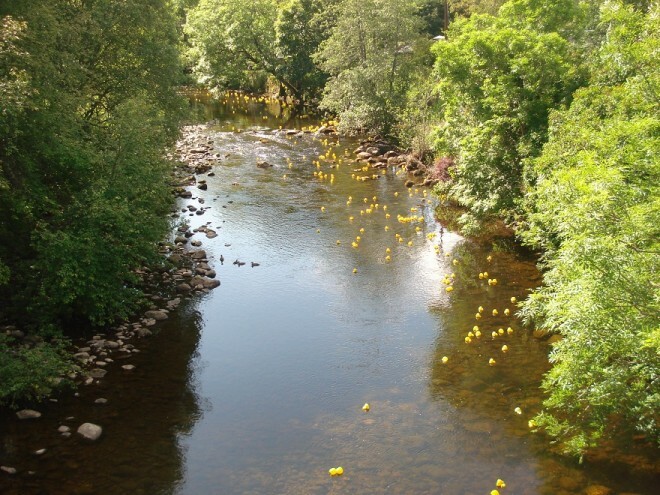 It has become a tradition every year to hold a duck race (plastic ducks!!) 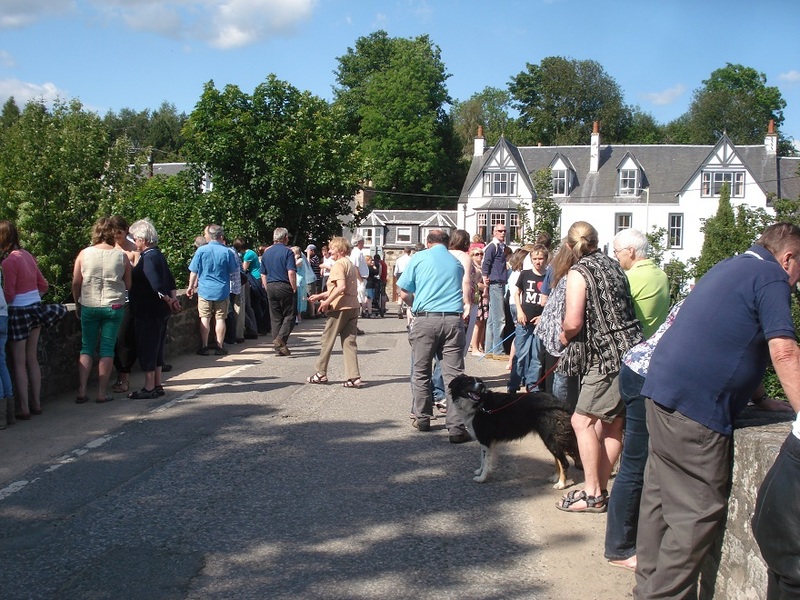 down the Ardle river in aid of Kirkmichael village hall funds. On the bridge waiting to see the winning duck.